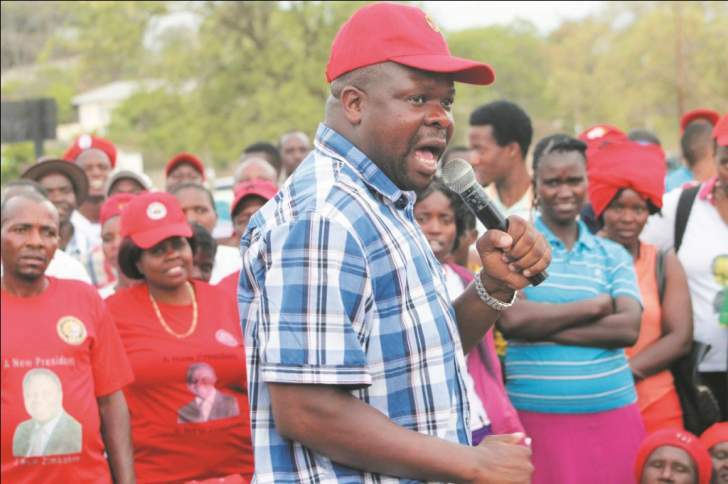 Two Movement for Democratic Change Members of Parliament Amos Chibaya and Settlement Chikwinya are languishing in Hwahwa prison after they were remanded in custody to 28 January after the state asked for more time to locate its witnesses. This was revealed by MDC Vice President Professor Welshman Ncube who visited the two Honourables and narrated their ordeal at the hands of the state. Chibaya and Chikwinya are part of the 12 MDC MPs who are currently in custody over accusations of inciting citizens to engage in violent protests on the 14th of January. Here below is Professor Welshman Ncube's narration. Earlier today, with Cde Kuda Munengiwa, ZCTU Chairman 4 the Central region, we visited Hons Chibaya and Chiminya at Wha-Wha in Gweru where they are being held on remand on FAKED charges of holding meetings at their respective homes where they allegedly incited public violence. No such meetings ever took place. No incitement occurred. There are no real witnesses to the FAKE meetings. On the first day of their appearance in Court the Police alleged that they had the witnesses in their custody and undertook to produce them the following day. The following day they confessed that they didn't have the witness in their custody and asked for time to secure their attendance in Court. Pressed to provide their particulars they produced the FAKE ID Nos and the FAKE addresses which turned out to be none existent. Notwithstanding all this the 2 Honourable Members of Zimbabwe's august Parliament languish in remand prison. Is this really how low we have sunk as a people and a nation? Meanwhile MDC President Nelson Chamisa has called upon President Emmerson Mnangagwa to release all political prisoners if he is sincere that he wants a national dialogue.